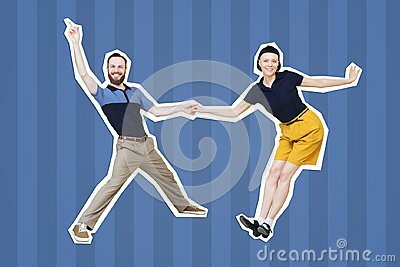 Lindy hop or rock`n`roll dance boogie woogie. Boogie acrobatic stunt in a studio background. Dance for rock-n-roll music.